SLEEK. With a loop of shining micro-crystals, our BANDA MICRO-CRYSTAL TOE-POST packs a whole lot of fabulous into one shimmering, minimal sandal. What - in your wardrobe - can match these for gorgeousness? 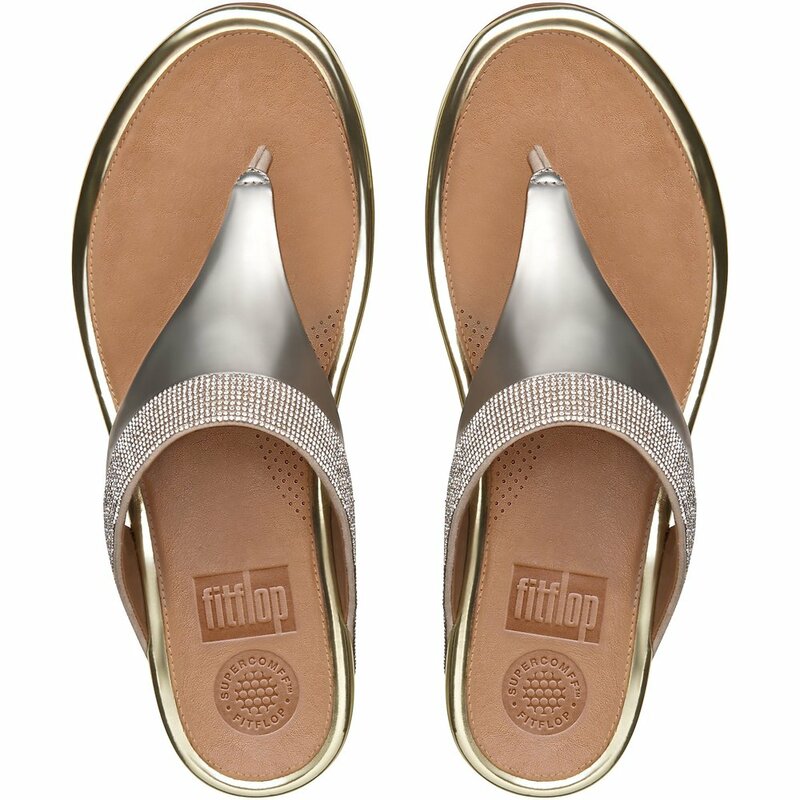 We engineer every pair of FF2™ by FitFlop™ sandals with our amazing, dual-density midsoles. They're ergonomic, cush, pressure-diffusing and totally 'wunderbar' if you're going to walk a lot!